Lumen Center Italia delineates its future with a development plan that involves less pollution, less energy consumption and less speculation for the furthering of quality, cost effectiveness and ethics. Their goal is the creation of a more sustainable and responsible future by guaranteeing products with a high technological, aesthetical and qualitative content that, at the same time, can be “fair” for the environment and for the people. Lumen Center Italia is a company which produces light fittings since 1976. It is a large workshop which, in its pursuit of excellence, facilitates designers, architects, engineer’s technicians and craftsmen to bring to fruition designs inspired by the heart and imagination but always guided by the requirements of functionality. Lumen Center Italia is an Italian manufacturer with a cosmopolitan outlook which for the design of its products follows strict procedures, receptive to contemporary thinking with strong cultural and aesthetic roots. 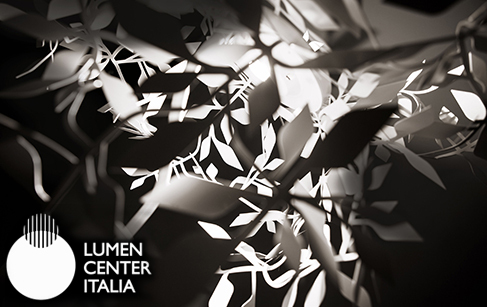 Lumen Center Italia is, and intends to continue to be, an Italian showcase for design in which luminaires are prototyped, tested and manufactured entirely in Italy. A true exponent of the best of Made in Italy. Trustworthy, approachable and open minded manufacturers of objects of real value for the homes of today and tomorrow.